It is critical to stay informed about potential dangers associated with products that you use or to which you may be exposed. We hope that the following resources provide information that can be used to help protect yourself and your family. Every year, many people are injured or harmed due to exposure to toxic substances in products and/or in the workplace. Often the negligence of others is responsible for illnesses, injuries and even deaths from such exposures. Most toxic exposures are associated with occupational environments or pharmaceuticals, though there are people who have been exposed to toxic chemicals from a variety of sources. All forms of asbestos are dangerous, and unfortunately, were used prevalently in construction materials, industrial settings, aboard ships and in common household appliances and other everyday items. Even still, asbestos dangers persist due to its presence in some automotive brake and clutch replacement parts and in the structural components of some old buildings and roads. 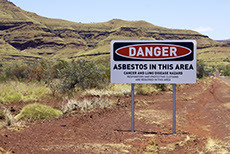 Brief contact with asbestos can result in asbestosis, lung cancer or mesothelioma. The chemical Benzene is heavily used in the U.S. According to the Centers for Disease Control, Benzene is among the top 20 chemicals produced by volume in the country, and though it can be found naturally in volcanoes and forest fires, the chemical is also used to make solvents, hair dyes, plastics, pesticides and certain rubbers. Crystalline silica has been classified as a human lung carcinogen. Additionally, breathing crystalline silica dust can cause silicosis, which in severe cases can be disabling, or even fatal. 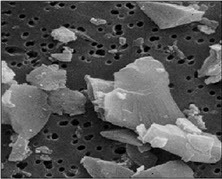 The respirable silica dust enters the lungs and causes the formation of scar tissue, thus reducing the lungs’ ability to take in oxygen. There is no cure for silicosis. Since silicosis affects lung function, it makes one more susceptible to lung infections like tuberculosis. Every year, millions of people in the United States consume over-the-counter and prescription drugs. Those people trust the makers of pharmaceuticals to create a safe product that will not inflict more harm than it does good. Unfortunately, many pharmaceutical companies have manufactured and sold drugs that may cause extremely dangerous reactions and side effects to unsuspecting consumers. For a list of products currently under active recall with the F.D.A. please see the link below. Daily, millions of Americans are needlessly endangered due to exposure to defective and unsafe consumer products. The ultimate responsibility for product safety falls on the company who makes and/or sells these products. 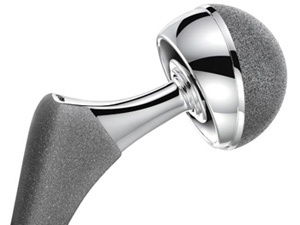 The Consumer Product Safety Commission publishes a list of consumer products that are currently being recalled. Every year millions of people are injured or killed due to collisions on our roadways. Most of these catastrophes could have been prevented by the simple exercise of due care. The National Highway Traffic Safety Administration provides an excellent resource to help drivers improve their driving behavior and thereby make the roads safer for us all.